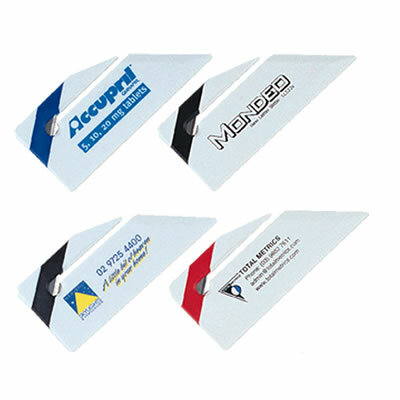 Features 45 degree set square. 10cm Ruler 1 side. 4 inch Ruler 2nd side and metal slitter. White case with choice of Red, Black or Blue stripe ex stock. Multicolour prints available at extra cost.